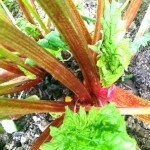 Love it or hate it, rhubarb been around for centuries and was originally grown for its medicinal properties. There are many varieties with stem colours ranging from green to pink to red, and a green stalk doesn’t necessarily mean a sour stalk. Rhubarb is a perennial crop (all being well it will keep growing back year after year) and prefers a cooler climate, needing temperatures of below 5°C to break its dormancy and no more than 24°C to produce lots of growth, making it an ideal vegetable to grow in Ireland. 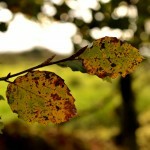 Once planted it can stay productive for up to 15 years. 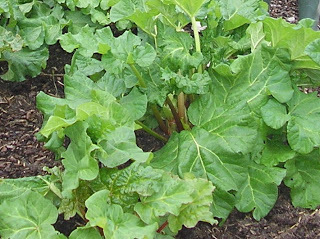 Along with many plants, rhubarb prefers fertile, well-drained soil with lots of organic matter dug in, preferably in a sunny spot. If you use fertilisers a sprinkling of a general fertiliser such as blood, fish and bone meal around the stems in the spring (taking care to keep it clear of the crown) will improve the yields. Likewise a shovel full of well-rotted manure or composted leaves applied in the autumn (taking care not to cover the crown which may encourage it to rot) will benefit the plant greatly. Rhubarb also prefers to grow in slightly acidic soil with a pH of around 6 – 6.8. Roots should ideally be planted in the early spring, and if you want more than one plant, space them around 60-120cm (1 – 2′) apart. Dig a large hole and mix in lots of organic matter. Plant the roots with the crown bud 5cm (2″) below the surface of the soil, firming the soil around the roots but keeping it loose over the buds, watering in the crowns after planting. Don’t just forget about it once it’s in, although it’s a tough, hardy plant it still needs some care and attention… water your rhubarb in dry spells and remove the flower stalks as soon as you see them, usually in the spring (they look quite different from the stems), and keep weeding around it. During the first year of growth, don’t pick the stalks as the leaves on the plant will nourish the roots for the following year’s growth. 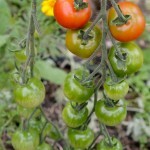 During the second year, and only if the plant is growing well, just pick a few stalks. After that the whole plant can be harvested. To harvest rhubarb just cut the stalks at the soil line or pull them out one at a time, either taking them all out or just as you need them, usually between April and September. Once the stalks have been cut, remove the leaves which can cause poisoning if large quantities of raw or cooked leaves are eaten. 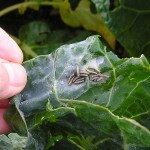 The stems also contain it but to a much lesser degree. However, if the plant is hit by frost and the stems seem soft and mushy, don’t eat them, send them to the compost heap instead. Although the leaves can be dangerous if they’re eaten, it’s okay to compost them… they’ll decompose and breakdown in the heap without causing any problems. Some people like to force rhubarb, giving an earlier crop, but personally I’ve always left it to develop naturally. There are many recipes using these delicious stalks, rhubarb crumble wins hands down in our household every time, although I did taste a delicious rhubarb cake last year as well as a divine roasted rhubarb cheesecake. 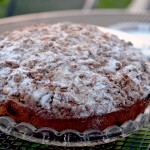 The inspiration for this blog post though goes to Sarah with her excellent blog Cake in the Country, packed full of great recipes. Her latest post was for Rhubarb Lemonade, a drink I’ll be recreating in the next few days (and maybe even try it with a wee drop of alcohol). Place everything in a pan and add the water as above. Bring to the boil and simmer for about 8-10 mins until all the rhubarb has broken down. Taste it. If you like lemonade zingy and tart, you might want to add some more sugar and give it another minute or two to dissolve. Strain through some muslin (or a clean nylon stocking) and sieve into a container (or for keeping in a sterilised jar) Sarah wrote a blog on sterilising here. Hmmm, nice idea, will try it.